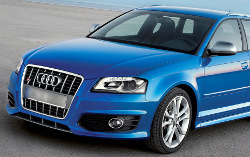 Save up to 50% compared with Audi main dealer servicing ! All Audi Servicing completed to Service specification :: Full and Interim Vehicle Servicing; MOT Service Centre; Clutch Repair and Replacement; Brake Servicing and Replacement; Gearbox Servicing and Replacement; Diagnostic Fault Finding; Air Conditioning Repair and Recharge; Exhaust Replacement; Tyre Replacement. Our Audi service plan enables us to cater for owners of new and older Audi model family saloons, sports and cross country models Audi alike. All routine servicing is completed in line with Audi warranty requirements using original Audi parts where applicable. We follow industry and best practice guidelines for later models Audi, ensuring your pride and joy's continued reliability. Your Audi is in safe hands with Advanced Motorcare. Newer in warranty and older cars alike, our Audi service plan covers it. We now have access to the official Audi Online Service Portal. This gives us up to date access to the latest Audi service information and remote diagnostics assistance. For those drivers looking for improved power, torque or just a smoother drive we offer an ECU tuning and mapping service. By replacing the software in your engine management system we can gain performance improvement of somewhere between 15 - 25% (depending on model). The sofware is fully tested and customised to your specific model and does not consist of us "tweaking" your engine management system. For further information see our ECU Tuning and Performance services. Independent AUDI service and MOT test centre in Radcliffe, North Manchester and ideally suited for Bolton, Bury, Prestwich and Oldham, Little Lever, Holcombe Brook, Swinton, Haslingden, Salford and Ramsbottom. Newer Audi vehicles (typically those with a service management computer facility) can use one of two service intervals to suit the style of driving most applicable. Older Audi vehicles not fitted with service interval computers will typically require a service at regular 10,000 mile or 1 year intervals. We have a passion for ensuring your car and every car we service is maintained correctly and safely; to the highest possible standard; within your budget; honestly and with respect. Unhappy customer? please complete our contact form or call me directly on 0161 723 1111. We take any negative feedback extremely seriously.